Whether you have a physically demanding job or regularly participate in a sport you enjoy, shoe choice is incredibly important. With a long history backing them up, New Balance (NB) provides a large variety of footwear options, designed to meet the needs of anyone looking for comfort and performance. Today, New Balance Athletics, Inc. sells its products in 120 countries and has expanded to include sportswear and accessories. Most of their products are manufactured in Massachusetts, Maine, Norway, and the United Kingdom. With its long history, NB has built up a reputation for quality footwear. Consider the following when deciding whether to try this brand for yourself. If you know what you're looking for, shoes can be purchased directly from the New Balance website or - if you need to try them on first before investing - use their store finder to find a store near you. They offer 200 New Balance locations and you can also find the brand at many major retailers, from Foot Locker to Nordstrom. Prices will vary widely depending on what you're looking for from your shoes. A pair of sandals, for example might be around $20 while a quality pair of running shoes like the 2040v3 Leather costs $400. For the most part, though, you should expect to spend around $150 for a pair of solid athletic shoes. Casual and non-athletic shoes are typically around $60 to $100, depending on the exact model. If you're a certified aerobics instructor, personal trainer, coach, or tennis pro, you can apply for the ProF.I.T. program. Membership is free and includes 30% off retail prices when ordered from their ProF.I.T. online catalog that includes shoes and workout gear. The only catch is that you can only order things for yourself. You have to put in your sizes on your application and match your orders to those specifications. 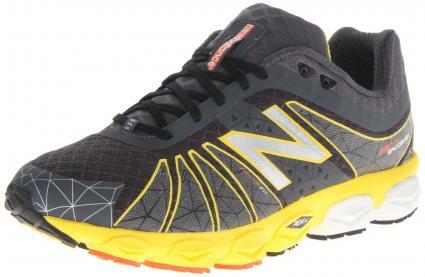 While it's tough to narrow down a specific "best" shoe from the NB catalog due to the variety of shoes for specific sports, there are some great basic running shoe options that you should consider. Available at a relatively low price, the 890 largely owes its popularity to its versatility for use on different terrains and in various training styles. 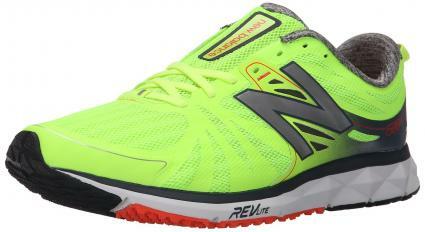 This shoe is the highest rated New Balance model at RunRepeat.com, with an average customer review of 89/100. Reviewers love that this is a lightweight shoe with good support, but some feel that it tends to be very tight on the toes, which takes some getting used to. You can pick up the 890 for about $110. The 1500v2 was the Editor's Choice in Runner's World's list of The Best Running Shoes of 2015. Priced at just over $100, this model offers great arch support and a comfortable fit. Pete Larson at RunBlogger.com says, "For a racing shoe, the fit of the 1500 is fantastic. It hugs my foot without being overly tight anywhere, and the forefoot is decently roomy." Chosen as Running Competitor's Road Shoe of the Year, the Fresh Foam Zante provides a little more cushioning than other models without sacrificing lightness or performance. One of their testers says, "These feel like light, zippy racing flats, yet pamper the foot with cushioning and soft materials. A fantastic combination of function with comfort." Reviewers on Amazon.com agree that this is a good quality shoe for the reasonable cost of about $100. 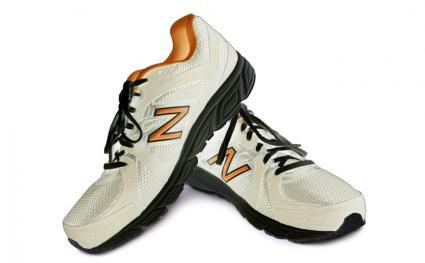 Before you make your purchase, consider these tips for finding the right pair of New Balance shoes. Have a good understanding of what the shoes are for. Whether it's an all-purpose running shoe or a model specifically designed for cross-training, knowing what the shoes will be used for will help you narrow down your options, either by yourself or with the help of a specialist at a retail location. Check your fit. If you've never worn New Balance shoes before, it will be better to work with a specialist in a store than to try to figure it out yourself. Keep in mind that shoes will vary in fit depending on their purpose. So, if you've worn New Balance running shoes in the past, do not assume that those new tennis shoes you're eying will fit the same way. Don't be afraid to customize. In addition to their already extensive line, New Balance offers the NB1 line, a selection of completely customizable shoes. This is a much more costly option, but will give you a greater degree of control over the end product. If you're looking for sport shoes that offer comfort and a great fit, New Balance likely has a model that will suit your style. Take some time to browse their offerings and try on a pair at your favorite retailer to see if there's a New Balance shoe that's perfect for you.